The Ambleside and District University of the Third Age (U3A) is part of the U3A movement. Situated in the heart of the Lake District, we have about 350 members mostly living in Ambleside and Windermere and the surrounding communities, including Bowness-on-Windermere, Grasmere and Staveley. We have a lively membership with diverse interest groups. You can find a list of these by clicking on the Groups button in the menu bar. You can then find out more about each group, including when they meet and their future programme of activities. Members can come along to any meeting but we advise you to contact the coordinator before you first go along to check if there are any specific requirements or changes to the programme or meeting place. We hold a General Meeting with an outside speaker plus tea or coffee and a chance to chat on the second Monday of the month at the Marchesi Centre, Windermere. Details of the programme for the year ahead can be found on the Events page. We welcome members who are disabled to our meetings and activities: you should read our statement and the advice from the Third Age Trust on members with a disability. Click on the Join Us button in the header if you like what you have read. 2. to demonstrate the benefits and enjoyment to be gained and the new horizons to be discovered in learning throughout life. You can read a formal Vision and Mission Statement at the link. If you would like to learn more about the U3A movement click on the Third Age Trust link. 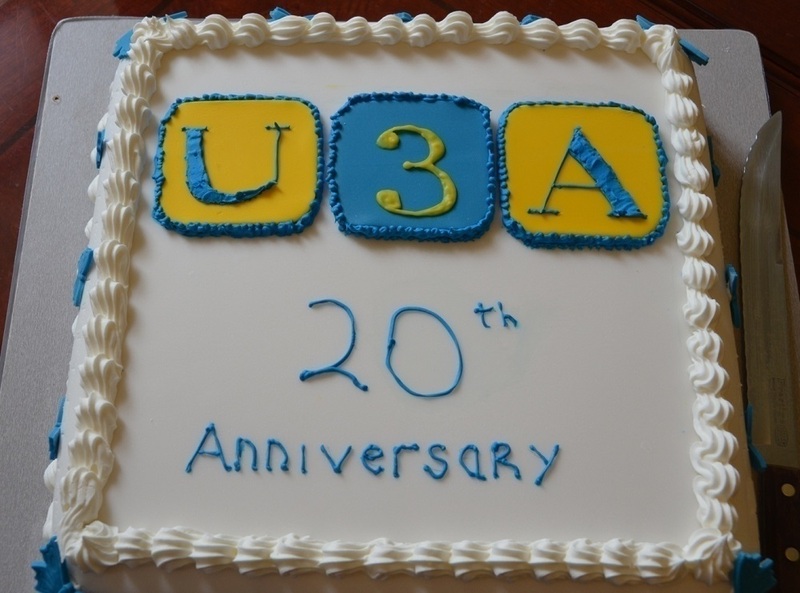 Ambleside & District U3A was founded in 1995 and in 2015 we celebrated our 20th anniversary with a number of events, including an afternoon tea with celebration cake at Calgarth Park, Troutbeck Bridge, on 31 May. You can read about some of these events and see more photographs on a separate 20th anniversary celebrations page. The list of General Meeting talks has recently been updated.